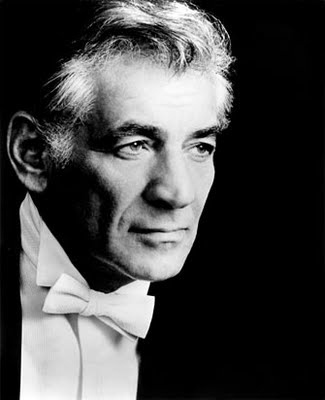 In 1959, American composer and conductor Leonard Bernstein (08.25.1918-14.10.1990) visited the Soviet Union. His interpretation of Shostakovich’s Fifth Symphony is, in the eyes (and of course ears) of some, controversial. Nonetheless, Bernstein’s performance received a thunderous ovation, and Shostakovich came on stage to congratulate Bernstein and the New York Philharmonic. President Vladimir Putin has replaced the education and health ministers, formed two new offices and split one ministry in his new Cabinet. The head of the Moscow Institute of Steel and Alloys, Dmitry Livanov, was appointed the new Education and Science Minister in place of Andrei Fursenko. The Health and Social Development Ministry, headed by Tatiana Golikova, was split into the Health Ministry and the Labor and Social Welfare Ministry, which will now be headed by Former Deputy Health and Social Development Minister Veronika Skvortsova and Maxim Topilin, respectively. Topilin was in charge of the Federal Labor and Employment Service in 2004-2008. New additions to the Cabinet, which now has 21 instead of 19 ministers, include the Far East Development Minister, a job that went to Viktor Ishayev, who was also made Putin’s envoy to the Far Eastern Federal District. Another new member is Mikhail Abyzov, who is now Open Government Contacts Minister. The open government initiative, also known as the big government initiative, is a semi-formal project by ex-President and current Prime Minister Dmitry Medvedev aimed at uniting experts and analysts and providing the real government with better feedback from the populace. In the economic sector, Andrei Belousov became the new head of the Economic Development Ministry; former Chuvashia Governor Nikolai Fyodorov became Agriculture Minister; Alexander Novak was appointed head of the Energy Ministry; Maxim Sokolov was made Transportation Minister; Nikolai Nikiforov was made head of the Communications and Press Ministry; Oleg Govorun will head the Regional Development Ministry, Denis Manturov will head the Industry and Trade Ministry, and Sergei Donskoi – the Natural Resources and Environment Ministry. Other appointees include Vladimir Puchkov as the new Emergency Situations Minister and Vladimir Medinsky as the Culture Minister. Alexander Konovalov and Vitaly Mutko retained their respective jobs as Justice and Sports, Tourism and Youth Policy Ministers, though Mutko’s office was renamed Sports Ministry and handed over tourism and youth policy functions to other ministries.